These are my new best friends in the kitchen! 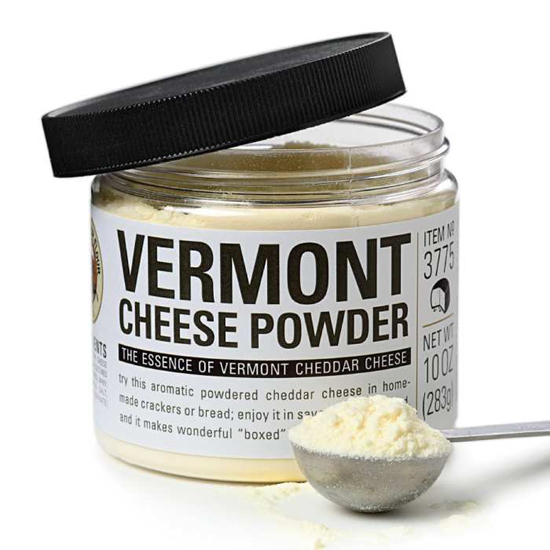 This great Sharp Vermont Cheese Powder from King Arthur Flour is a best seller in my store. Sprinkle it on popcorn or atop baked potatoes. 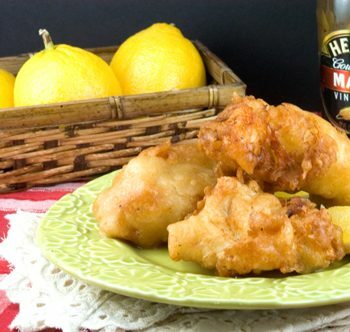 From soups, to crackers, to savory breads and buns, to a tasty cheese sauce that tastes good dribbled over anything, this product is a must-have.Try this aromatic powdered cheddar cheese in homemade crackers or bread; enjoy it in savory monkey bread. It also makes wonderful “boxed” macaroni and cheese. I’ve made delicious creamed potatoes by boiling cubed potatoes, making a white sauce and adding this savory Vermont Cheddar Cheese, sprinkle with bread crumbs, and bake until golden, it makes a a delicious variation to everyday potatoes. Your family will love them! Check them out in my store. Both Regular and White Balsamic Vinegars are made with Trebbiano grapes, but are processed different. The deep brown color of regular balsamic starts with the initial cooking process, then continues through its aging for years in barrels. The white Balsamic’s pressurized cooking process prevents caramelization, and the vinegar ages for just one year, so stays light color. 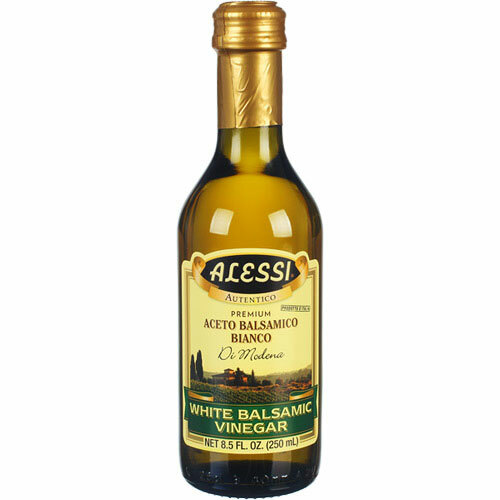 The white Balsamic is also lighter in flavor and consistency, its more delicate tasting and less syrupy. 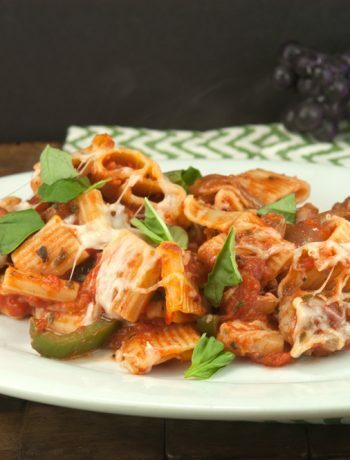 The basic flavor remains in both vinegars, so you can use white Balsamic in place of the regular Balsamic when you want the great flavor, but not the coloring aspect. And it doesn’t hurt that you’ll be eliminating the stains on your clothing with the regular Balsamic vinegar! 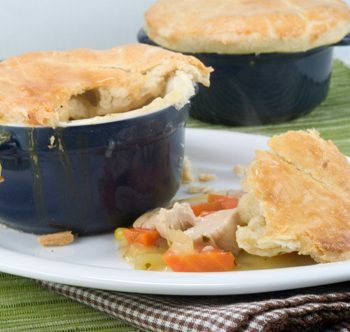 Have you ever started cooking a recipe, and suddenly realized you you were out of a key ingredient? Sometimes, you can substitute or eliminate, but sometimes the recipe just isn’t right without that key ingredient. 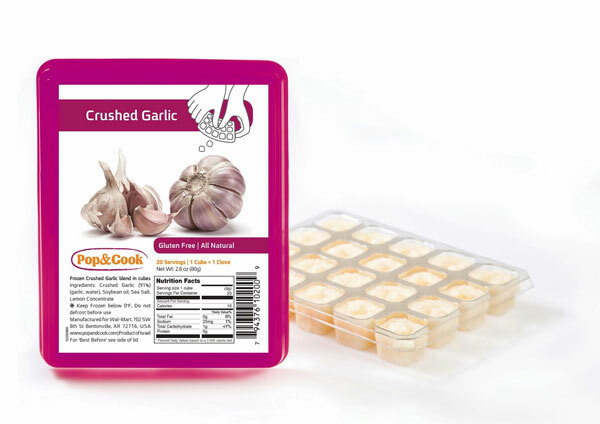 These great Pop&Cook frozen herb cubes are perfect. They virtually take up no room in the freezer, and are size in tiny cubes which equal 1 teaspoon each. They come in Basil, Ginger, Garlic, Cilantro and Chili Pepper. These herbs are flash frozen, so they retain they’re super fresh flavor for you’re cherished recipes. These can be purchased at Walmart among other great grocery stores, so they’re readily available everywhere! Ok, so these aren’t necessarily “for the kitchen”. But you could snack on them while your cooking in the kitchen! That’s why they’re on the list. 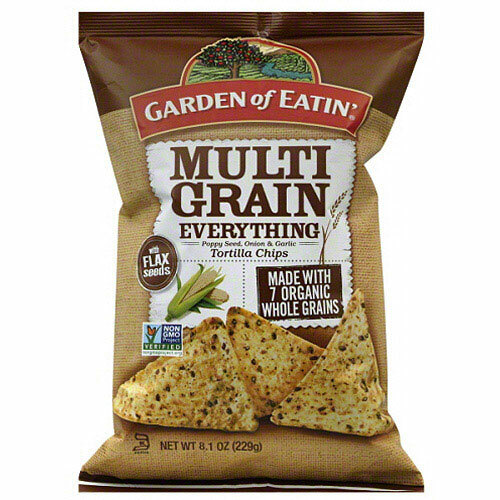 If you’re looking for a snack, these are good for you, tasty and delicious!